Galway had been talked up as the potential heirs to Dublin’s throne, but judging on yesterday’s performance against Monaghan, they are a long way short of that. Maybe Galway won’t be bothered, but I would have thought the lure of an All-Ireland semi-final against Donegal or Tyrone would have sparked a better reaction from them. Instead, Galway produced a pretty sub-standard performance, failing to score for almost 30 minutes in the second half. Next Saturday they go back to Croke Park to face Dublin for a place in the All-Ireland final, their first semi-final since 2001, so the season can be viewed as a success. That semi-final, of course, will take on a life of its own and Galway looked to be heading in the right direction after beating both Kerry and Kildare. Yesterday’s performance, however, produced more questions than answers. Ten minutes into the second half they seemed to give up the fight. For Monaghan, everything was on the line, Galway looked like a team happy with a place in the semi-final even if they knew Dublin will be their opponents. I suppose psychologically Monaghan had the advantage in knowing they needed to win and maybe there was bit of Galway minding themselves, but they will still be very disappointed to lose by eight points at home to Monaghan – hardly ideal preparation for playing Dublin in six days. Going forward, they looked like they were lacking ideas and both Shane Walsh and Damien Comer failed to fire. In their Allianz League game earlier this year, Comer caused Dublin all sorts of trouble, more than any other forward in recent years. His card will be marked going into next Saturday but he can certainly improve on what he produced yesterday. Galway will need him to produce the goods. Looking at him play and hearing him talk in the media, he seems the type of guy who strives to be the best he can be. 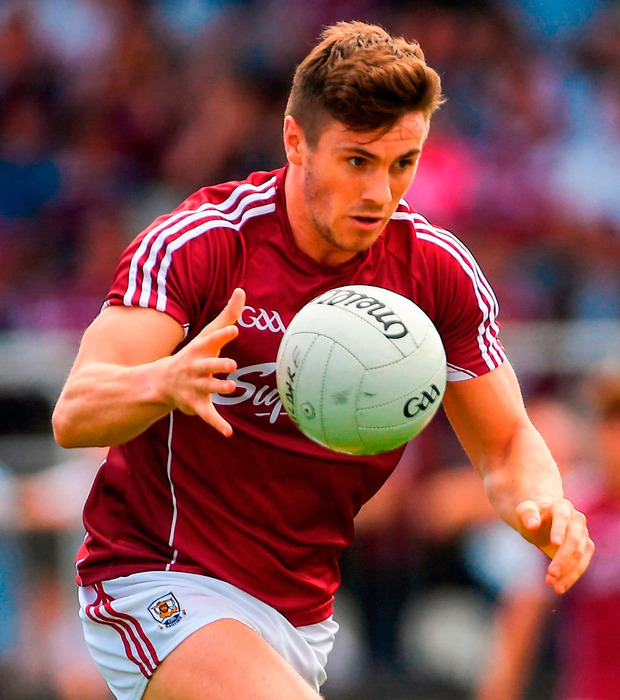 He’s a passionate footballer who has a huge influence on the mood of this Galway team. Next Saturday he has the chance to cement his name in the list of top modern-day forwards. He will need support around him to show his talents and Galway will need to show a lot more ambition going forward than what we saw in Pearse stadium yesterday. Too often, they were happy to sit back and didn’t commit anywhere near the amount of bodies forward that will be needed to trouble Dublin. Monaghan has plenty of men behind the ball and more often than not swallowed up the Galway attackers as they came forward. The manner of the defeat yesterday raises some serious questions about Galway’s mentality. The great teams deliver a level of consistency not associated with what Galway produced yesterday. The positive is they can look to the National League game against Dublin where they pushed them so close. We will see a better, more determined Galway, but six days from today is a very short time to turn around from such a heavy defeat against a fellow contender. I’d imagine Galway will commit a lot of men to defence and they have shown themselves to be very proficient in keeping the defence compact. Kevin Walsh won’t be happy with 16 points conceded yesterday evening and he knows he has a tough week ahead. On the other hand, Monaghan delivered the win they needed without ever really setting the world alight – Galway’s flat performance meant they didn’t have to. They are within touching distance of an All-Ireland final. Bar a glitch against Fermanagh in the Ulster semi- final, which seems more bizarre now, they have been very consistent. They lack the depth of Dublin or Tyrone but what they lack in depth they make up in desire.